Get in touch with your pet! We are developing and manufacturing high tech devices to get you connected to your pet. 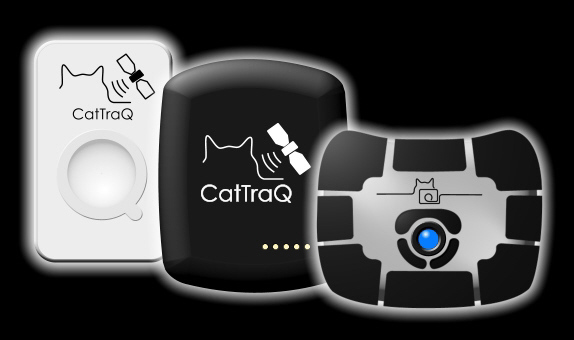 If you want to participate in the life of your pet beyond your door steps we are enabling you with the CatCam automatic pet camera and the CatTraQ GPS devices to learn more about it. Our solutions are not only used for funny moments. With the CatTrack Live GPS devices you will be able to retrieve your animal in case it gets lost or does not return home in time. Our mission is to reduce the blind spot involved with free-ranging animals. We want to eliminate the "Lost Pet" signs as well as integrate your pet more in your family by enabling it to tell about his day either in pictures or journey trails. We are in the business since 2007 and all our products are improved over time. We use the feedback of our customers as well as new technical possibilities to achieve better and smaller products. Our engineering division is supporting animal researches worldwide to find new solutions for challenging tasks and to derive solutions for domestic animal products.